The Rough-Writers INK writing group usually meets at Big Shooter Coffee in Kremmling at 8 am. Winter Park Resort presents its Friday Music Series 4-6 pm in The Village (through Aug. 25) with entertainment provided by soul / folk band Hawthorne Roots June 23. The Friday shows are followed by Coca-Cola Family Movie Nights (through Aug. 25) on the lawn, with “Minions” June 23. Both events are free. 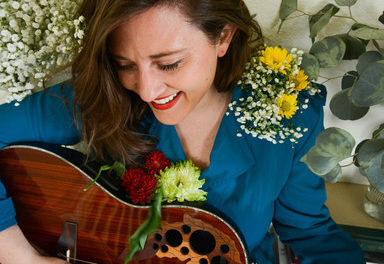 Local singer / songwriter / guitarist Peggy Mann performs 5-8 p.m. at The Gateway Inn in Grand Lake. Local band Tone & The Vibe performs live 6-10 p.m. at the Winter Park Pub. No cover. The Crooked Creek Saloon in Fraser hosts live blues music, starting at 7 pm. No cover. Cooper Creek Square in Winter Park kicks off its Music on the Square live music series 6-8 pm June 23 (runs through Sept. 1) in the courtyard. Enjoy a Blues All-Star Showcase with Johnny O, Bobby Walker, Jon Pleasant, and Andy Irvine June 23; Sam Osborne & Gary Key June 30, Andrew Duhon July 7, Purely Patsy July 14, The Johnny O Band July 28, Strange Byrds July 29, Adam Lopez & His Rhythm Review Aug. 4, Carter Sampson Aug. 11, Red Dirt Hill Aug. 18, Emily & Retta Yarbrough Aug. 25, and Woodshed Red Sept. 1. Free. Rocky Mountain Repertory Theatre in Grand Lake presents “Newsies” at 8 pm. Ticket info: (970) 627-3421. The Lariat Saloon in Grand Lake has live music or DJs, starting around 9 pm. Ullrs Tavern in Winter Park hosts live music with “aggressive death-funk dance trio” Lespecial. Shows start at 10 pm. Grand Park in the Fraser Valley hosts a community garage sale 8:30 am – noon in the Fraser Rec Center parking lot. The Flying Heels Arena is host to rodeos every Saturday through July 1 (3 pm Junior Rodeo, 7 pm Open). Info: (970) 531-5465. The Grand County Historical Association serves up a member and volunteer appreciation BBQ starting at noon at the Dean Public House (former Stagecoach Inn) in Hot Sulphur Springs. Info/RSVP: (970) 726-5488. The Winter Park Pub presents musician Lee Rogers live 7-11 pm. No cover. The Crooked Creek Saloon in Fraser hosts live music starting at 7 pm. No cover. Rocky Mountain Repertory Theatre in Grand Lake presents “Mamma Mia!” at 8 pm. Ticket info: (970) 627-3421. Ullrs Tavern in Winter Park features “psych-blues” band Dragondeer. Shows start at 10 pm. The Winter Park Pub presents an indoor after-Blues party is set for June 25 (6 pm). Future Sunday Fundays (usually 4-8 pm through August) include Red Dirt Hill July 2, Key & Osborne July 9, Gary Key solo July 30, and a bluegrass afternoon (1 pm) Aug. 13. Snow Mountain Ranch hosts their first locals day of the summer. Free activities include access to hiking and biking trails, fishing, pool, mini golf and more. Check in at the Programs Building with proof of residency to receive your free pass and to register for a summer tubing hill session. The Basement in Winter Park hosts Karaoke around 8 pm. Ullrs Tavern presents Kill the Keg events featuring beer specials and DJs or live music Sundays starting around 9 pm. Local musicians Andy Straus and “The Real McCoy” perform live 5-8 pm at the Hideaway Park Brewery in Winter Park. Rocky Mountain Repertory Theatre in Grand Lake presents “Mamma Mia!” at 6 pm. Ticket info: (970) 627-3421. Kenny Sciuto hosts Open Mic at Ullrs Tavern in Winter Park, starting around 9:30 pm. The Winter Park Pub presents Open Mic Nights with host musician Andy Straus 5-9 pm. Tuesdays through Sept. 5. Host Chris Siewak and Ullrs Tavern in Winter Park present Lip Sync Nights starting at 9 pm. The Fraser Valley Creative Writers group usually meets 10:05-11:35 am at the Fraser Valley Library. (Pam Cornett leads the group. Info: (303) 548-4031). Winter Park Resort hosts free Campfire Sing-a-longs 4-6 pm in The Village gazebo Wednesdays through Aug. 23. The Basement in Winter Park hosts Open Mic Nights and an open art session. Idlewild Spirits (under Rudi’s Deli in Winter Park) presents weekly pick-up game nights (5-10 pm). Games on hand. People are also encouraged to bring games they might have. Rocky Mountain Repertory Theatre in Grand Lake presents “Newsies” at 7:30 pm. Ticket info: (970) 627-3421. Local singer / songwriter / guitarist Peggy Mann performs 6:30-9 pm at the Sagebrush in Grand Lake. The Winter Park / Fraser Chamber of Commerce presents its High Note Thursday free summer concert series 4-6 pm through Aug. 24 on the new permanent stage at Hideaway Park in Winter Park. This week’s feature is band Driftwood. Rocky Mountain Repertory Theatre in Grand Lake presents “Mamma Mia!” at 7:30 pm. Ticket info: (970) 627-3421. Local musicians Kevin and Brian Wiedl, and Kenny Sciuto perform live 8-10 p.m. at The Peak in Winter Park. Host musician Adam Lynam and the Crooked Creek Saloon presents Open Mic Night, starting at 9:30 pm in Fraser. Artists of all kinds are encouraged to sign up. Acoustic guitar may be on hand to play. Ullrs Tavern in Winter Park presents the Secondhand Street Band and a “concoction of jazz, funk, and other horn-driven musical styles.” Shows usually start at 10 pm. 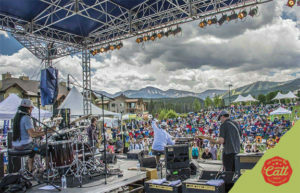 Winter Park Resort presents its Friday Music Series 4-6 pm in The Village (through Aug. 25) with entertainment provided by Weston Smith June 30. The Friday shows are followed by Coca-Cola Family Movie Nights (through Aug. 25) on the lawn, with “Secret Life of Pets” June 30. Both events are free. Cooper Creek Square in Winter Park presents its Music on the Square live music series 6-8 pm (through Sept. 1) in the courtyard. Enjoy Sam Osborne & Gary Key June 30, Andrew Duhon July 7, Purely Patsy July 14, The Johnny O Band July 28, Strange Byrds July 29, Adam Lopez & His Rhythm Review Aug. 4, Carter Sampson Aug. 11, Red Dirt Hill Aug. 18, Emily & Retta Yarbrough Aug. 25, and Woodshed Red Sept. 1. Free. Rocky Mountain Repertory Theatre in Grand Lake opens “West Side Story” at 8 pm. Ticket info: (970) 627-3421. The Crooked Creek Saloon in Fraser hosts live music with band Fireside Collective, starting around 8 pm. No cover. Ullrs Tavern in Winter Park presents live music with local alternative bluegrass band Hunker Down. Shows usually start around 10 pm. Stay tuned for exciting updates, to include Wednesdays in the Garden at Crooked Creek Eatery to benefit local charities (starts in July). Rocky Mountain Repertory Theatre’s 50th anniversary summer season includes “Mama Mia!,” Disney’s “Newsies, the Broadway Musical,” “West Side Story,” and “Almost Heaven, Songs of John Denver”. The first three run on rotation throughout the summer. There’s also a Family Night July 17, and a Cabaret July 22. Ticket info: (970) 627-3421. Fourth of July fireworks extravaganzas, on Tuesday, July 4, are scheduled once it’s dark on Grand Lake, off the cliffs in Kremmling, and at Hideaway Park in Winter Park (with band Buckstein). Fraser’s Tuesdays in the Park series starts July 11 and runs through Aug. 29 at the Fraser Historic Park (6-8 p.m.). The lineup features Peggy Mann and Friends July 11, Andy Straus and the “The Real McCoy” July 18, Gary Key July 25, Bill McKay (former keyboardist for Leftover Salmon) Duet Aug. 1, Red Dirt Hill Aug. 8, ACME Band Aug. 15, Tight Like That Aug. 22, and, Tone and the Vibe Aug. 29. Concerts are FREE, 6-8 pm at the historical Schoolhouse Park near the Fraser Town Hall. Live music Wednesdays in the Grand Lake town park gazebo start July 5 and run through Sept. 6. (5-7 pm) The schedule includes the ACME Duo July 5, Red Dirt Hill July 12, Mojo Medicine Show July 19, Kevin Danzig July 26, Sasquatch Mtn. 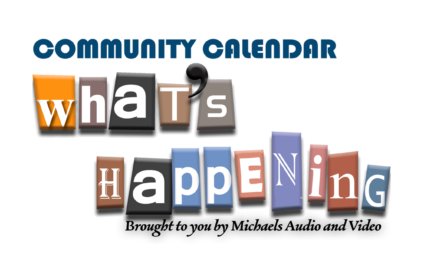 Project Aug. 2, Tight Like That Aug. 9, Cari Eyers Aug. 16, Jubilant Bridge Aug. 23, Matt Brown Aug. 30, and Laurie Dameron Sept. 6. Free. Bring a chair or blanket. Sponsors include the Town of Grand Lake, Grand Lake Chocolates, the Grand Arts Council, and Mountain Lake Properties.